Water Conditions: Shallow to deep water, choppy, cloudy/muddy water, no waves. Hazards: Wind dying, ships, current, submerged debris, airplanes. Kiteboarding at Changi Beach is strictly policed and only possible by members of KAS (Kiteboarding Association of Singapore). Please check with KAS on the current status of kiting there and ask for details of the markers which represent the kite-able area. Check Facebook group https://www.facebook.com/groups/187918291397271/ for more info. 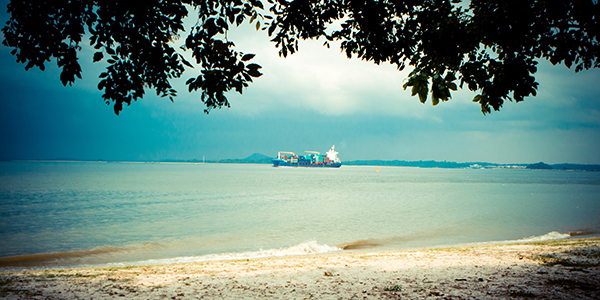 How to get there: Changi Beach car park 6 is accessible via Nicoll Drive from the north or Changi Coast Road from the south. There is a small grass launching area behind a row of trees on the beach, so be careful navigating through the trees with your kite up. The wind at Pasir Ris is not as smooth as at Changi as it blows directly off the island Pulau Ubin. 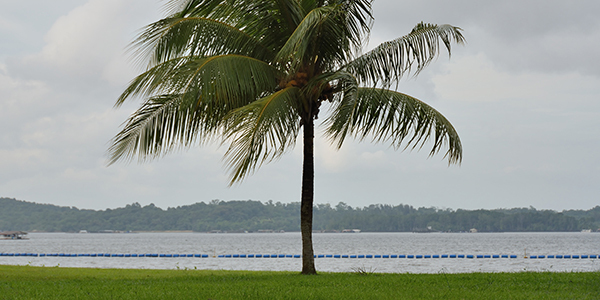 How to get there: Pasir Ris Beach is accessible via Pasir Ris Road. There is a small car park located just in front of the beach as well.